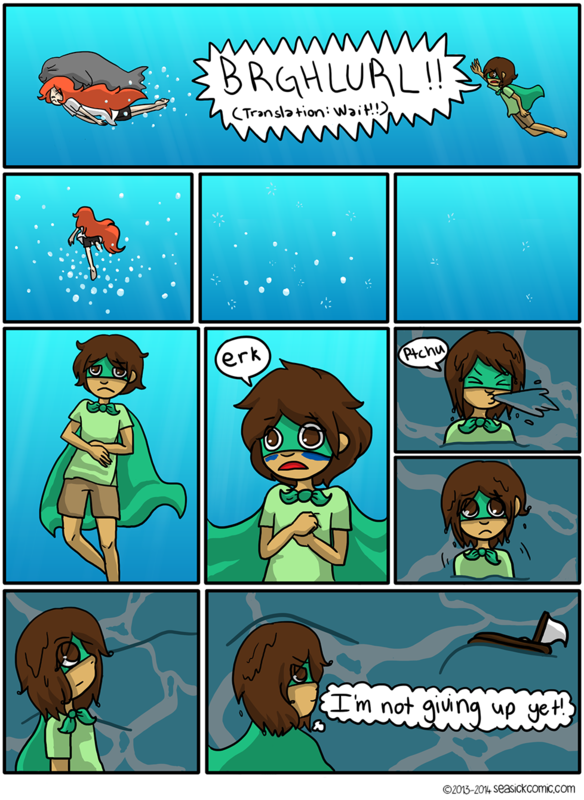 Chapter One – Page Nine – Seasick – The Underwater Adventure Comic. Updates Fridays! Hi guys, Jesse here! Frances is feeling a bit under the weather (on her vacation too!) so I’m filling in for her today. We still got the update up though! Aw, where’d she go?? The ocean got so dark and stormy too (kinda like real life right now…) Look forward to a change of scenery next time!